Many of us know that plastic pollution is an enormous problem. An estimated 8 million metric tons end up in the ocean each year — or about a garbage truck of plastics per minute. Bigger pieces of plastics break down into smaller pieces of microplastics, which are eventually carried off by the currents to swirl around in five of the so-called plastic gyres all over the planet. Because plastic does not biodegrade easily, these tiny pieces of plastic will harm marine life and contaminate delicate ecosystems for many years to come, including what eventually becomes the food we humans eat. 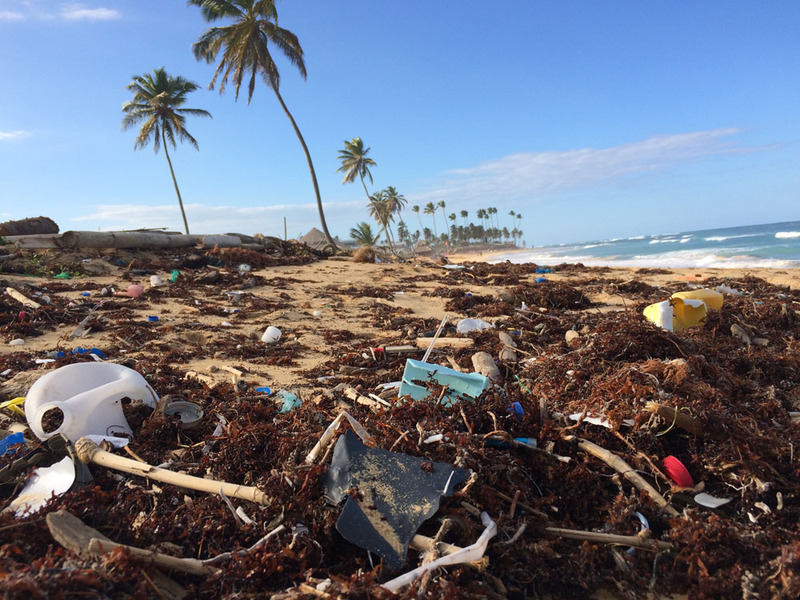 From beach cleanups, awareness campaigns and enacting new regulations, efforts have been made to tackle the massive problem. But according to Vancouver, Canada-based startup Plastic Bank, that’s a band-aid solution that won’t get at the root of the issue. Instead, their approach monetizes plastic waste by creating a business model that enlists the help of collectors to gather plastic in localities where recycling infrastructure is insufficient or non-existent. The plastic waste is then traded in at locally-run collection centers for cash, digital tokens or vouchers for daily essentials. The aim is to not only clean up the environment, but to make a social impact by providing decent revenue opportunities for low-income folks, the so-called “unbankable” populations who might not have access to a banking account to deposit and grow their money, or even conventional loans. This plastic is then recycled into what the company calls Social Plastic, a more socially responsible form of plastic which is then sold to international companies for use in packaging or products, as a more sustainable alternative to virgin plastics that can give companies an extra edge over their competitors. The hope is to create a more circular economy where plastic waste becomes a valuable commodity that can improve the lives of millions of people. 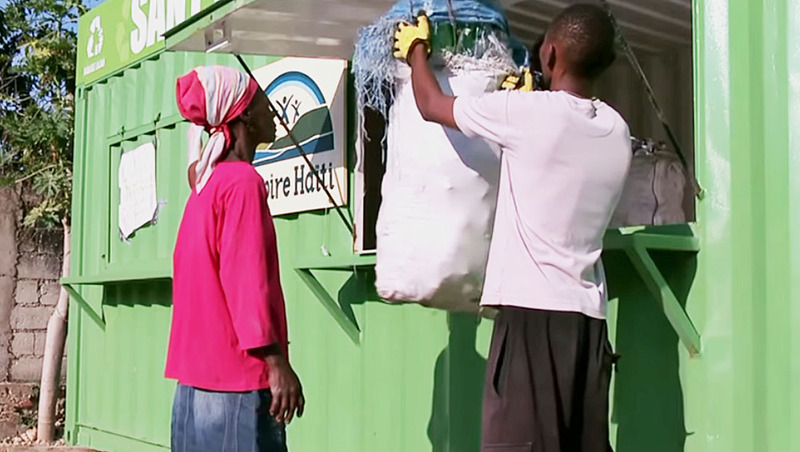 So far, Plastic Bank has established recycling centers in Haiti, with plans to expand to Ethiopia, South Africa, India, Indonesia and Brazil. It has partnered up with other companies like Shell, Marks & Spencer, and Henkel in an effort to get products made with socially responsible plastics out onto the market. In addition, Plastic Bank is collaborating with IBM and Cognition Foundry in its efforts to scale up the project. So far, they’ve created a banking application that can run on plastic collectors’ mobile phones — an increasingly ubiquitous piece of technology in developing nations. As plastic is traded in into various locations around the world for digital tokens, the app uses blockchain technology on IBM’s LinuxONE servers to create digital wallets to track, store and keep transactions safe. Plastic Bank’s expectation is to expand operations to over two dozen countries, each with an autonomous system of collectors and stores. The goal now is to develop the app further, adding extra analytics capabilities, and possibly incorporating IBM visual recognition technology that could help users identify and sort different kinds of plastics according to their potential value. By providing the tools, technology and incentives, the project sets the stage for a paradigm shift where plastic can be transformed from ‘trash’ into an opportunity. Find out more over at Plastic Bank, Social Plastic and IBM.